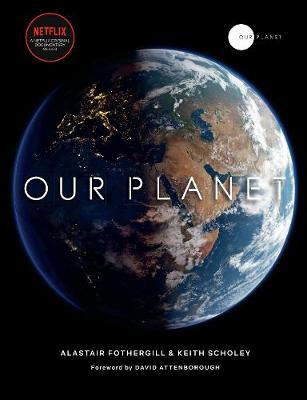 Featuring some of the world’s rarest creatures and previously unseen parts of the Earth-from deep oceans to remote forests to ice caps, ‘Our Planet’ takes nature-lovers deep into the science of our natural world. Revealing the most amazing sights on Earth in unprecedented ways, alongside stories of the ways humans are affecting the world’s ecosystems-from the wildebeest migrations in Africa to the penguin colonies of Antarctica-this book captures in one concise narrative a fundamental message: What we do in the next twenty years will determine the future of not just the natural world but humanity itself. If we don’t act now to protect and preserve our planet, the beauty we’re lucky enough to witness on these pages will have disappeared . . .